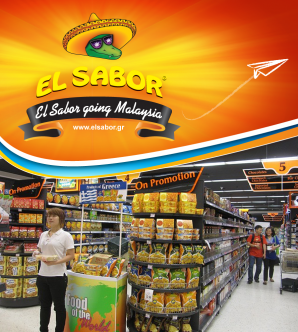 As part of the test products from all over the world, consumers in supermarkets in Malaysia had the opportunity to try the unique El Sabor nachos, wraps and dips. El Sabor «charms» consumers all over the world with its tastes, by offering unique products with excellent quality. Also in Asia El Sabor products accompany the most beautiful moments of people! Because… any time is time for El Sabor!